PENITENZIAGITE (“do penance”) is a shortened version in vulgar Latin of the phrase “Poenitentiam agite, appropinquavit enim regnum caelorum”, meaning “Repent: the Kingdom of Heaven is at hand.”(Matthew 4:17). The phrase was used by the Dulcinian movement in the early 13th century, a movement named after the disciple Fra Dolcino. You probably remember humpback from Umberto Eco’s novel The Name Of The Rose and the bonfire on which he burned as a heretic. PENITENZIAGITE started with their penance in year 2004 in Kranj (Slovenia), with much different lineup from today and even more diverse style. Its first members were Anže Demšar (guitar/vocals), Matej Ovsenek (bass/vocals), Bojan Netretič (guitar) and Fertin (drums). 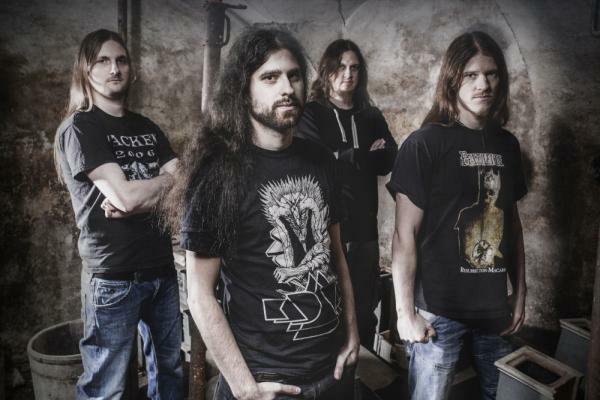 Their style of black/death metal was well known for their diverse double vocals. This line up recorded their first garage demo. Soon after that, Penitenziagite parted with their drummer, who was replaced by Gašper Čebulj. This started a new chapter for the band. At this time they started changing their style from black/death metal to pure death metal. The band played various clubs as opening band or as headliner. They played with bands like: KAMPFAR, DEMONICAL, MILKING THE GOAT MACHINE, OBLITERATION, DISHARMONIC ORCHESTRA and NOCTIFERIA. PENITENZIAGITE chrushed the stage of the biggest Slovenian metal festival Metaldays (it was called Metalcamp in those days) twice – once even the main stage. They also played longest running metal festival in Slovenia Metal Mania (also twice). After two more member changes – Matic Di Batista joined the band on bass and Žan Kavčič took over lead guitar, the band started to prepare material for their debut album. Studio sessions and mastering of their debut album was finished in 2014. 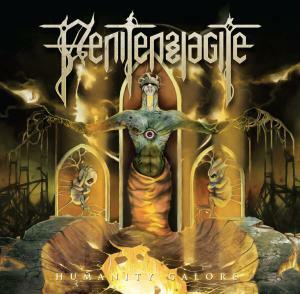 Songs on the record are brutal combination of the work that PENITENZIAGITE produced during the years. Album is titled Humanity Galore and brings out the message of delusion humanity reached, expressed with brutal vocals, angry rhythms and fast and diverse riffs that help create the atmosphere of destructive state humanity was pushed in.